What is it with crap sequels and children? When will they learn? 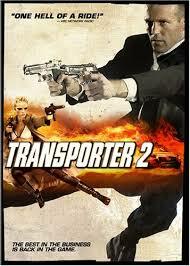 Transporter 2 finds Frank Martin (Jason Statham) driving the young son of a wealthy couple around. When it appears that he has kidnapped the kid, he needs to prove his innocence, and keep the child safe. The plot is crap, but the action is awesome – ridiculous and awesome. If you like high quality action films, don’t watch this, but if you like noise and explosions, this is the film for you.